A 17th century Mohawk Indian whose name means 'she who bumps into things' because of her poor vision and a New York nun who miraculously cured two dying patients will this weekend be declared saints. Kateri 'Caterina' Tekakwitha and Mother Marianne Cope, also known as 'Mother of the Outcasts', are among seven Roman Catholics set to be canonised by Pope Benedict XVI on Sunday. Hundreds of pilgrims are travelling to Rome to attend the ceremony, with some of Mother Marianne's followers stopping over in her hometown of Utica, New York, on the way. Mother Marianne was known for her strength and kindness, battling bureaucrats in Hawaii as she led a group of fellow Franciscan nuns to care for leprosy patients in the islands. By declaring her a saint, the Vatican will formally recognise that she is in heaven and was responsible for teenager Kate Mahoney's medically inexplicable recovery from multiple organ failure in 1993 and Sharon Smith's successful 2005 fight against an infection that tore a hole between her intestines and stomach. Saving Ms Mahoney's life almost 20 years ago paved the way for Mother Marianne's beatification in 2005, and Ms Smith's unlikely recovery was the miracle needed for her to be canonised. They were cured after friends and family prayed to Mother Marianne. In Smith's case, a sister pinned a bag of soil containing some of Mother Marianne's bone fragments to her hospital gown. At the ceremony on Sunday, presided over by the Pope, the church will also canonise Caterina Tekakwitha, a 17th-century Mohawk Indian and daughter of a Mohawk Chief. Caterina cared for the elderly and sick and lived from 1656-1680 in New York and Canada. She became the first Native American to be beatified in 1980 and was recently approved by Pope Benedict XVI as one of seven new Catholic saints. 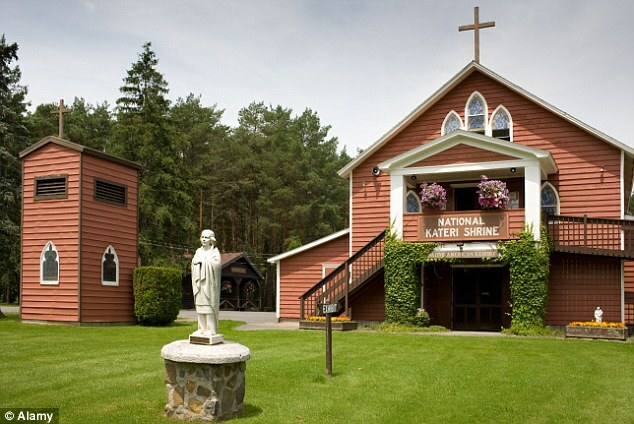 Caterina has a national shrine located in Fonda, New York, where she lived as a teenager. She was born in 1656 in nearby Auriesville but her parents - one of whom was a Mohawk Chief named Kenneronkwa - and brother died of smallpox when she was aged only four. Caterina survived but was given the unfortunate surname because of her poor vision - as it literally means 'she who bumps into things'. Sunday's ceremony comes nearly a century after Mother Marianne's 1918 death at Kalaupapa, an isolated peninsula on Molokai Island where Hawaii governments forcibly exiled leprosy patients for decades. 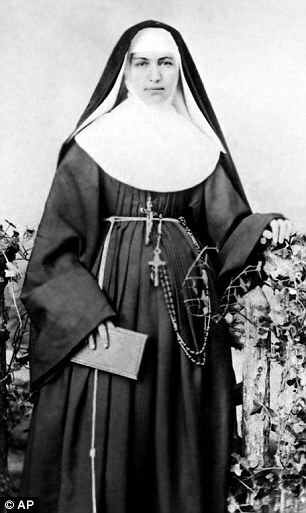 Mother Marianne heard the call to come to Hawaii from New York state in 1883 when she was 45. She was the only religious leader in the U.S. and Europe - of 50 asked - who agreed to a request by Hawaii's king and queen to come to the islands to help leprosy patients. At the time, there was widespread fear of the disfiguring disease, which can cause skin lesions, mangled fingers and toes and lead to blindness. 'I am not afraid of any disease,' she wrote, agreeing to what would become a more than three-decade mission helping those banished to the unfriendly sea cliffs of the Hawaiian peninsula. 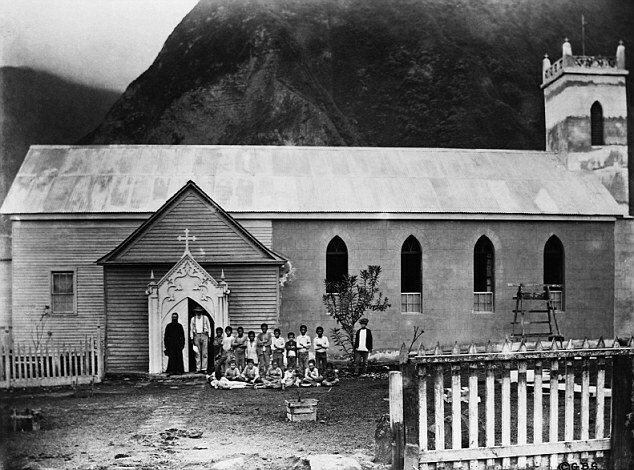 The Hawaiian kingdom began exiling patients to Kalaupapa in 1866 to control the disease, a policy that remained in place until a century later even though new drugs in the 1940s made it curable. Shortly after her arrival from Syracuse, N.Y., she had learned that a government-appointed administrator was abusing patients at Branch Hospital in Honolulu. Mother Marianne threatened to leave with the six sisters that accompanied her unless the government removed the official. The government soon gave her full oversight of the hospital. Caterina found Christianity as a teenager despite her Mohawk clan being vehemently against it. After her family passed away, she was looked after by her uncle, a Turtle Clan chief who hated the religion, but a conflict moved her four miles north-west to Caughnawaga, New York, aged 10. Despite her disfigured face from smallpox, a number of men were interested in marrying her. 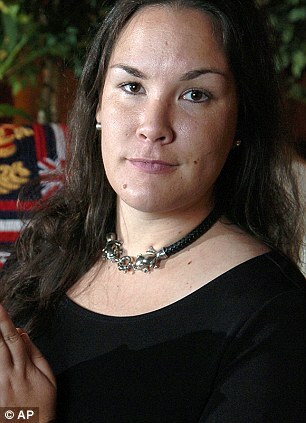 But Caterina decided to stay celibate because she believed they only wanted her for political gain. It was as she thought more about the potential of a loveless marriage, she started to find out about Christianity. Her mother had given her a set of rosary prayer beads but her uncle had taken them away because he did not want her to become a Catholic. But she became more and more interested in the faith. Caterina then began Catholic teaching in secret aged 18. Her uncle eventually allowed this as long as she stayed in their village. She was persecuted by her fellow villagers for joining the faith but soon escaped to the Mission of St. Francis Xavier - a Canadian settlement. Caterina was known for her gentleness, kindness, and good humour, according to the website of her shrine in Fonda. She vowed to stay a virgin for her whole life in 1679 in Canada and taught children to pray, as well as working with the elderly and sick. She died in 1680 after a serious illness and was buried in Quebec, Canada. She was said to appear to many people after her death and held responsible for miracles. Legend has it that just minutes after she died she shone brightly and all the marks from smallpox vanished from her face, revealing her true beauty. Caterina is highly-regarded in Catholicism because of her commitment to helping others despite all the persecution and illness she suffered herself. Both women will be honoured during the ceremony in Rome. Two-hundred fifty pilgrims are travelling from Hawaii to witness the canonisation of Mother Marianne. Among those attending the canonisation are nine Kalaupapa patients. Although cured, a dozen people still live at the peninsula, all older than 70. It will be the second trip to Rome in three years for Hawaii pilgrims. Many made a similar trip in 2009 for the canonization of Saint Damien, a Belgian priest who moved to Kalaupapa to care for leprosy patients in 1873 and who died of the disease 16 years later. Many are also making a pilgrimage to Utica, where Mother Marianne moved with her family from Germany in 1839, aged one. At St. Joseph's church and parish school, she developed her faith but left in eight grade to work in a factory after her father became ill. In 1862, she entered the Sisters of St. Francis in Syracuse. Bishop Silva said Mother Marianne's life has many lessons for people today, even though leprosy isn't a threat anymore. 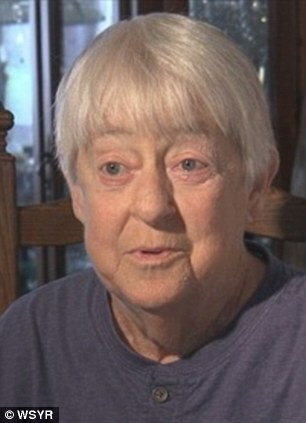 Her example can be applied to other issues, such as domestic violence or homelessness. Pray for us, Blessed Kateri and Mother Marianne Cope, and those who have recourse to thee. 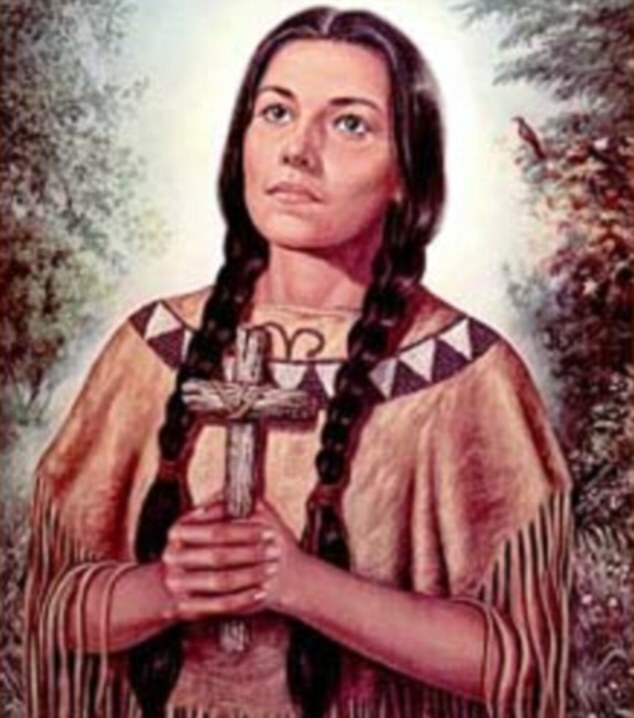 My daughter ( who is part Muskcogee Creek Indian) is converting to Catholicism and she picked her Patron Saint as Kateri Tekakwitha. Oddly enough, after she chose Kateri, my daughter learned that Kateri was being cannonized on her dad's birthday. He passed on over 2 years ago. I learned more about her. Thank you for sharing ! This is a truly fascinating article Trevor, and a joy to read. Caterina and Marianne are two women who speak to us from centuries ago, and now it is our turn to speak to them today, by recognising the spiritual beings they were. They did, indeed work, not for 'glory' but with the sincere and honest dedication and devotion that souls with a mission in life, fulfil. I loved reading about Caterina nd her Native American heritage. She truly was a woman of remarkable qualities. Mother Marianne also greatly interests me. Again, a beautiful soul working against Leprosy in Hawaii. This terrible disease has a particular connection to me. As I have mentioned elsewhere, here, some 2000 years ago I was cured of an ailment in my right leg which, if left untreated, would have led to leprosy. So, yes - a Saint, indeed. Thank you for this share and the beautiful pictures which bring everything vividly to our attention. Fascinating Trevor, another beautiful soul and a life lived in service to God. This relates to Saint Katherine Drexel. Love is a Gift From God~ How Will You Use Your Gift? Mission Statement As Sisters of the Blessed Sacrament, we believe God calls us to be a sign in the world of the Eucharistic Christ's power to effect unity and community among all people. Guided by the spirit of St. Katharine Drexel, we are called to share the Gospel message with the poor, especially among the Black and Native American peoples, and challenge the deeply rooted injustice in the world today. History The Sisters of the Blessed Sacrament, founded in 1891 by St. Katharine Drexel, are a congregation dedicated to the interracial apostolate in the United States and Haiti. Today the Sisters serve in elementary schools and secondary schools as well as at Xavier University of Louisiana in New Orleans. We are also involved in a variety of other services including pastoral and spiritual ministries, social services, counseling, religious education, and health care, primarily but not exclusively among the Black and Native American peoples. Archdiocese of Santa Fe, NM By 1894 the Sisters of the Blessed Sacrament came to St. Catherine Indian School in Santa Fe. We gradually extended services to the Pueblo peoples in the Santa Fe Archdiocese. Today Sisters continue to serve the Pueblo peoples in various ministries. Following the miraculous healing of Robert Gutherman’s eardrum, St. Katharine was beatified in 1988. The healing of little Amy Wall’s deafness opened the way for St. Katharine’s canonization by Pope John Paul II on October 1, 2000. Joy filled this historical moment when a Philadelphia heroine took her place among the Saints of the Catholic Church. Great rejoicing also took place at the SBS Motherhouse and Shrine of Saint Katharine Drexel in Bensalem, Pa., as well as throughout the United States and Haiti. The process of canonization for Katharine was begun by John Cardinal Krol who officially introduced her Cause in Rome in December 1964. On January 26, 1987, Mother Katharine was declared Venerable. The Vatican concluded that Robert Gutherman, whose family had prayed solely to Mother Katharine, was miraculously cured of deafness in 1974. Katharine's beatification took place on November 20, 1988. October 1, 2000 saw the culmination of this journey. Several boards investigated a second healing, that of Amanda (Amy) Wall, and concluded that her cure from nerve deafness was truly miraculous. The “Decree” on the heroicity of the virtues exercised by the servant of God during her earthly life required extensive historical and theological study on her life. It included sworn testimony of witnesses who knew her and an examination of her complete writings. These passed through a board of theologians and a meeting of the Members of the Congregation for the Causes of Saints. TORONTO - When Grace Esquega, director of the Blessed Kateri Mission at the Kitchitwa Kateri Anamewgamik parish in Thunder Bay, Ont., heard that her beloved Kateri Tekakwitha was going to become a saint, she cried. 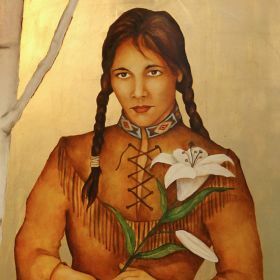 Esquega is one of 70 people heading on a pilgrimage to Rome in October organized through St. Ann’s parish in Toronto, home of the Native Peoples’ Mission of Canada, for the canonization of the native girl exiled from her home because of her devotion to Jesus Christ. The canonization ceremony is scheduled for Oct. 21. 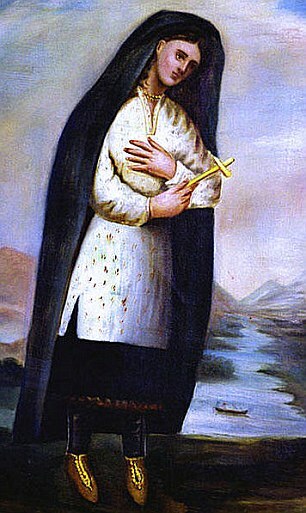 Kateri Tekakwitha was a native born to a Mohawk father and Algonquin mother in what is now upper New York State. She later settled in the Kahnawake region of Quebec, where she died at age 24. 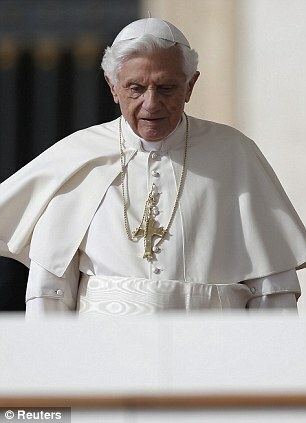 Beatified by Pope John Paul II in 1980, Pope Benedict XVI cleared her way for sainthood earlier this year. Bob White, a layperson at St. Ann’s and one of the key organizers of the pilgrimage, was shocked by the number of people who wanted to go on the pilgrimage. “I’m encouraging everyone to dress up,” said Esquega. “How do we celebrate us as native people? We sing, we play the drums, we dance… and we dress up. When I go, I’ll take my drums. And I will sing as I journey. The pilgrimage mostly includes people from St. Ann’s, Blessed Kateri in Thunder Bay and the Kateri Native Ministry of Ottawa. Fr. Frank Wagner, pastor at St. Ann’s, said this group was one of the first to start forming a trip. “We called around and there didn’t seem to be much organization,” said Wagner. Since then, other pilgrimages have been organized from Montreal and Quebec City, as well as several from the United States. And though the canonization is sure to be packed with Catholics from around the world, White is trying to get his group an audience with the Pope while there. But White said no matter what, he knows the trip will be a memorable experience. “(The canonization) is a celebration of spirituality, both Catholic Christian spirituality and native spirituality,” said White. Trevor, this is such a fantastic update - a brilliant addition to this interesting topic. I loved all the photos and the latest information. Yes, St Peter's Square definitely has not seen anything like this before! It has been a most lovely and informative share, for which I thank you.